We are amongst the reputed organizations, highly engaged in offering an optimum quality range of Industrial Fuel Gas Analyser. The world‘s first multi-functional Analyzer for onsite mass concentration measurements of total suspended particulate matter in flue gas, O2 and CO, draft and stack temperature. The Wöhler SM 500 analyzer will give you immediate readings. Laboratory based analysis becomes superfluous. 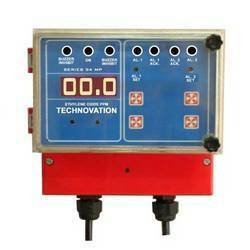 Backed by rich industry experience, we are engaged in offering an excellent range of Industrial Analyzers. The offered range of products is widely appreciated by the customers for its high performance and longer service life. These products are manufactured and developed in tandem with the international quality standard. Professional, semi-continuous multi-gas analysis. Combined electrochemical-/NDIR measuring principle. Simultaneous analysis of up to 9 gas components. We are a unique name in the market to provide our honourable customers an exclusive range of IndustrialExhaust Gas Analyzer. 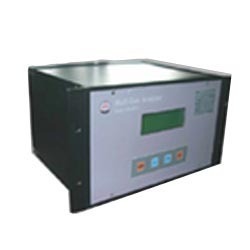 From our wide consignment, we are affianced in supplying Hydrogen Gas Analyzer.